The case was being challenged in the Austin-based 3rd Court of Appeals. 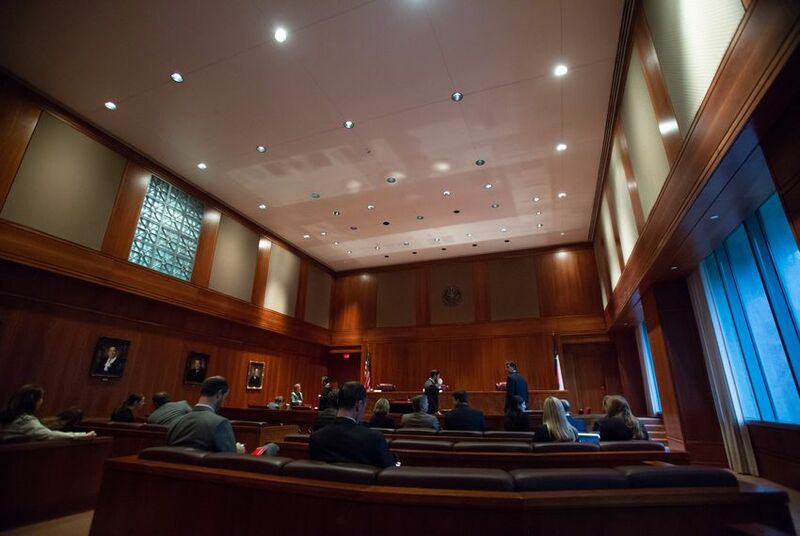 The Austin-based 3rd Court of Appeals declared Austin’s paid sick leave ordinance unconstitutional Friday morning, saying the ordinance is preempted by the state's minimum wage law. In a 24-page opinion, a three-judge panel ordered a district court judge who originally heard the case to issue a temporary injunction against the ordinance. The judges also remanded the case back to the district court "for further proceedings consistent with [the appeals court's] opinion." Passed by the Austin City Council in February, the ordinance is the first of its kind in Texas. It requires most employers to offer eight days of earned sick leave for a year of work, or six days for employees of businesses with fewer than 15 employees. A number of powerful business-aligned groups sued over the ordinance. In August, the state joined the business groups in requesting a temporary injunction against the ordinance and also requested a permanent injunction on the grounds that it violated the Texas Minimum Wage Act. The ordinance was originally scheduled to take effect Oct. 1, but it was temporarily blocked by the appeals court in August as judges heard arguments. Tate said the city will review its options in the case. At the heart of the case was whether the ordinance establishes a wage and is at odds with the Texas Minimum Wage Act, which supersedes a wage established by a local government. Chief Justice Jeff Rose, along with justices David Puryear and Scott Field, ultimately determined that the ordinance does establish a wage, writing in the opinion that “the effective result is that employees who take sick leave are paid the same wage for fewer hours worked.” The city has long argued that wages involve compensation for services and do not include benefits like paid vacation time and paid sick leave. In a written statement, Bo Delp, a policy director with the Workers Defense Project, called the ruling “disappointing” for working families and pointed to judicial politics at play. Puryear and Field lost their seats to Democrats in last week’s election. She said that her group is not against having discussions about paid sick leave but that the discussions should be held at the state level. Opponents of the ordinance also have argued that providing paid sick leave is too expensive for employers. The Austin Chamber of Commerce estimates that the ordinance would cost businesses $140 million annually in overhead. Opponents said that cost could ultimately trickle down to workers, leading to fewer jobs and less paid vacation time. The ordinance could have a long battle ahead of it in court and in the Legislature. Delp said he is confident that the case “will prevail on the merits in district court.” Spilman said her group will use the court’s decision to attempt to strike down a similar ordinance in San Antonio. State Rep. Matt Krause, R-Fort Worth, has filed a bill ahead of the upcoming Legislative session that would prohibit cities from requiring employers to provide paid sick leave.